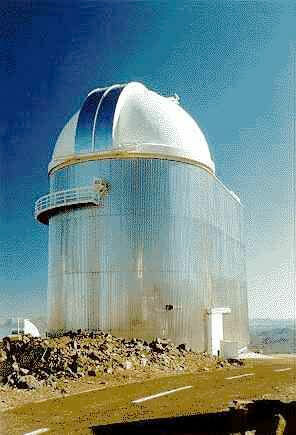 Optical Surfaces Ltd. has provided the ‘Hot Star Group’ led by Prof. Bernhard Wolf at the Landessternwarte Heidelberg (LSW) in Germany with a series of very high precision optics that have been used in the Fibre-fed Extended Range Optical Spectrograph (FEROS) at the European Southern Observatory (ESO) in La Silla, Chile. Seeking to explore and to understand the processes behind short lived, massive stars the Hot Star Group required to study the spectroscopic variability of the atmospheres and envelopes of these stars at high resolution over long time spans. These requirements led to the development in conjunction with a consortium of European institutes and the ESO of the FEROS concept, a high resolution spectrograph fibre optically coupled to an astronomical telescope. Benefiting from a stabilized manufacturing environment and over 40 years experience of design and manufacture of high precision optics, we were pleased to be chosen to make the key elements of this high throughput, ultra low dispersion optical system. It seems as though Mike Outred, our chief machinist, has had a nasty accident with a big mirror, but no; this shows the first saw cut he made through the finished paraboloid parent. Further cuts and milling operations were made to produce the final outline. Sales Director John Mathers says” My heart was in my mouth as he was cutting up this fine paraboloid which had taken weeks to finish – I just kept out of the way. Mike didn’t worry though, he is an unshakeable character. It’s nice to have such calm people around you when it gets tough”. Optical Surfaces produced two large off-axis paraboloids, a cross dispersion prism in LF5 (235 x 175mm, 55° angle) and a high reflectivity flat. 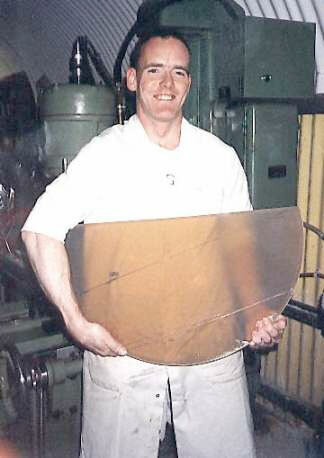 The off-axis mirrors were made from a Zerodur parent of 660mm diameter (f 2.2) and demonstrated the company’s ability to localise large aspheric high precision optical components. The two segments were irregular in shape and as anticipated, twisted when cut from the parent due to minor stresses in the material. Using proprietary in-house techniques these irregularities were localised to achieve a uniform lambda/15 p-v surface accuracy over the whole working area. The large LF5 prism was supplied fully tested in transmission using our 450mm Fizeau interferometer. To reach the required high specification for wavefront accuracy the prism face was again corrected by localised polishing since glass of a high enough homogeneity was not available to produce the optic by standard techniques. Production of these optics have helped FEROS to maintain an extremely high light efficiency & image quality. Despite the complex design needed to produce exceedingly detailed spectra of very high resolution, 46% of the light entering the spectrograph is actually recorded by the detector. Fibre optically coupled to the ESO 1.52m telescope at La Silla (Chile) FEROS has been able to study the motions in the atmospheres of super giant stars in the Magallanic Clouds, a galaxy more than 150,000 light years distant. 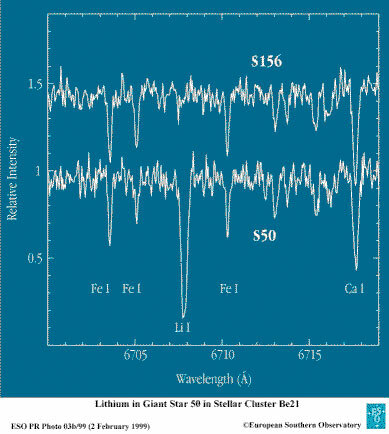 During these first tests of FEROS at the 1.52m telescope the group discovered a giant star (S50) in a stellar cluster (Be21) 16,000 light years distant displaying unexplainable large amount of the cosmologically important, light element Lithium. Apart from being the first recorded example of a Lithium rich giant star found in a stellar cluster the discovery has enabled a comparatively accurate age to be determined for S50. Astronomers trying to explain this new phenomenon are currently offering two explanations. The first involves the recent in fall of a large planet or brown dwarf star into S50 and the second is that the star is going through a rarely observed very short evolutionary period in which Lithium is produced and brought to the upper atmosphere. Using the unique capabilities of FEROS at the European Southern Observatory the group hopes in future to extend its investigations into studying and better understanding other astrophysical processes including the formation of new stars, supernovae and non-radial stellar pulsation’s.